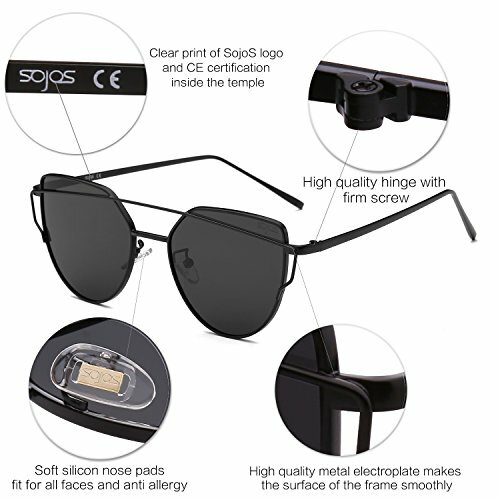 UV400 PROTECTION FOR YOUR EYES – SojoS’s anti-glare lenses can block 100% of both UVA and UVB radiation. 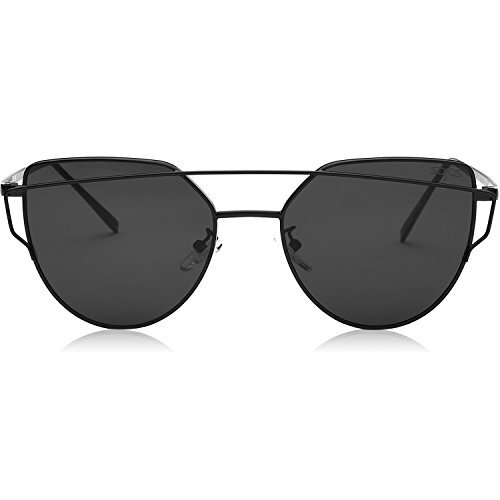 UV400 rated sunglasses is essential to filtering out sunlight reflected glare and protecting your eyes against long term UV damage when you go out. 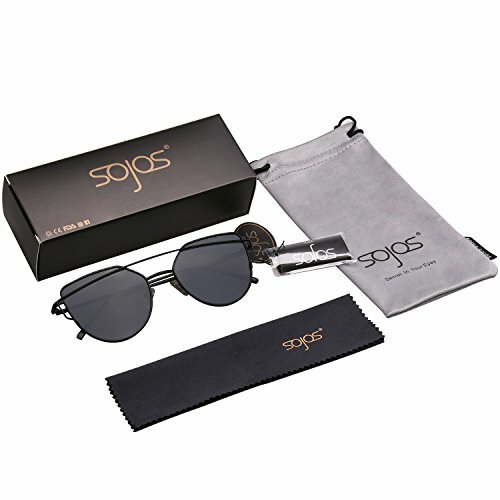 HIGH QUALITY MATERIALS – This SojoS stylish cateye sunglasses is made of unbreakable metal frame, colorful flash mirrored reflective UV400 lenses, solid metal hinges, all the details ensure you a long time using. 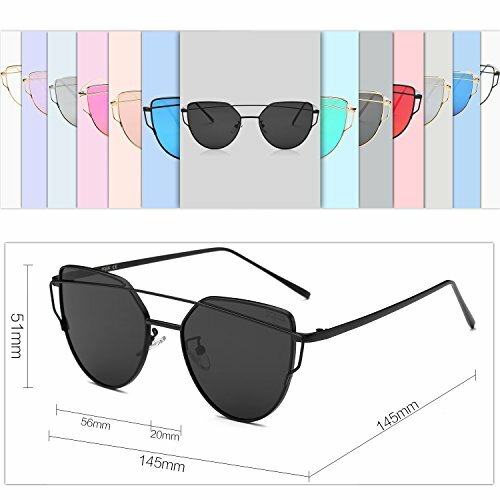 It is the perfect choice for outdoor activities such as walking, driving, shopping, travelling, taking photos, and is suitable as high fashion accessory and daily wear all year round. 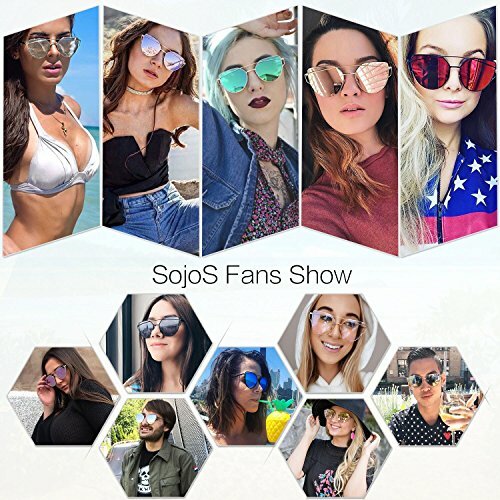 SOFT SILICONE NOSE PADS – The SojoS sunglasses’ silicone nose pads can adapt to different nose shape. 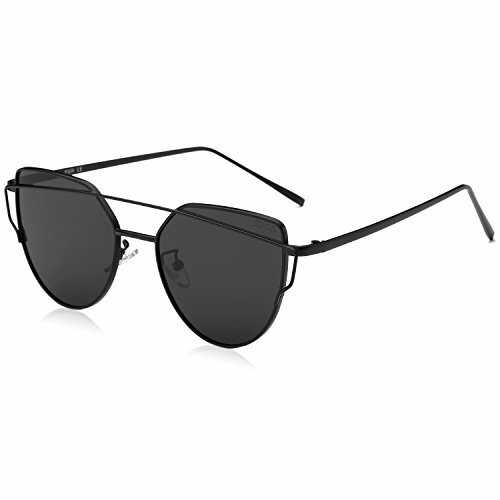 Reduce the burden on your bridge of the nose and create a new sense of fashion. 30 DAYS MONEY BACK GUARANTEE – SojoS ensures all our customers 30 Days Money Back Guarantee and Lifetime Breakage Warranty for our products. In case of any broken issues, please contact us without hesitation. We will provide the best service until our customers are satisfied. You have no risk to try!